Jackson Greene is riding high. He is officially retired from conning, so Principal Kelsey is (mostly) off his back. His friends have great new projects of their own. And he’s been hanging out a lot with Gaby de la Cruz, so he thinks maybe, just maybe, they’ll soon have their first kiss. Then Jackson receives a link to a faked security video that seems to show him and the rest of Gang Greene flooding the school gym. The jerks behind the video threaten to pass it to the principal — unless Jackson steals an advance copy of the school’s toughest exam. So Gang Greene reunites for their biggest job yet. 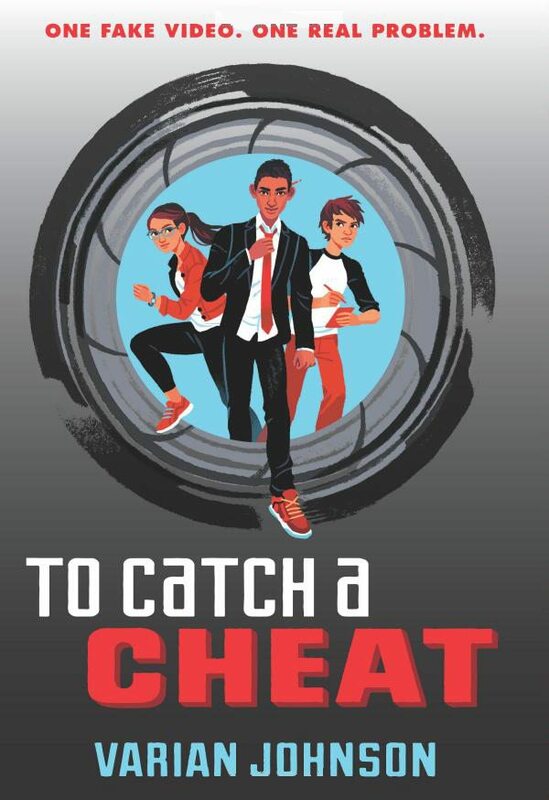 To get the test and clear their names, they’ll have to outrun the school’s security cameras, outwit a nosy member of the Honor Board, and outmaneuver the blackmailers while setting a trap for them in turn. And as they execute another exciting caper full of twists and turns, they’ll prove that sometimes it takes a thief to catch a cheat. Even before I finished writing The Great Greene Heist, I knew I wanted to write a sequel. Luckily, so did my editor. We just had to find the right story to make it all work. It took a while, but as I was reading through some old notes from previous versions of The Great Greene Heist, I saw a note to myself asking if the school had a security system. And then I remembered—I had considered adding one, but had decided that the book was complicated enough. Plus, it seemed more fun to go with Mr. James, the friendly security guard. But I found myself wondering—what if there was a security system? Jackson would obviously avoid it—he had no reason to go back to running cons and heists. That is, unless someone was blackmailing him….